Feed My Starving Children just published a blog post about little Lauza in Rakai. We are so grateful for the meals we receive from FMSC – good, balanced nutrition every day that is saving children like Lauza, Emma and thousands more. 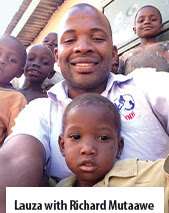 Read Lauza's story on the FMSC blog.